Lincoln's This and That Astrology | Exploring astrology, divination, and achieving your highest potential. It seems to me, no matter how long one has been studying a subject, the journey never seems to end, and new paths appear on the horizon, when one least expects it. There are times it seems we return to the course one was on before, and realized we did not truly explore or investigate it thoroughly enough. This was what happened to me, not too long ago, when I began wondering why people with similar charts reacted to things and events so differently. As I was pondering this, I was remembering my encounters with the temperaments in the natal chart, which is an innate component of our being unlike character and personality which is learnt and developed, and why one needed to learn and master it. It had totally slipped my mind, because even though my first teacher emphasized the importance of mastering this technique, she did not go into details of the importance it may have in our delineations. As I continued my studies, temperaments got left on the shelf collecting dust, as other things caught my attention and seem more important at the time. I regret not paying more attention and mastering it, but as I have always believed, it is better late then never. The first thing I remember about the subject was trying to memorize what planet and signs were hot, dry, cold and wet, and their relationship to one another. In time these qualities were adapted and assigned to the following four temperaments. Sanguine is described as honest, liberal, cheerful, thoughtful, methodical, accommodating, etc. Melancholy as reserved, ponderous, studious, cynical, untrusting, etc. Cholerique is optimistic, aggressive, action, opportunist, etc. Phlegmatic is pensive, reticent, withdrawn, acquiescent, mutable, etc. How does one use this? 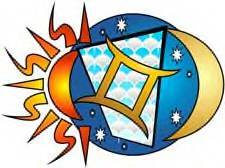 It is in synthesizing the elements in the chart and seeing which of the temperaments, or if it is a combination of the temperaments that is the major factor in helping the individual to fulfill the promise of the chart. This technique is similar in judging how much of the charts are in air, earth, water and fire sign to quickly to determine if the individual is more into thinking, into having, into feeling or into getting things done. By determining the temperament, we can rapidly come to an accurate decision on how the individual will approach each situation before our thorough delineation is begun. This method will indicate whether the individual will take the initiative, is laid back, is the analyst or is more reserved and contemplative. I have come across several teachers such as John Frawley who feel that one cannot have an accurate and insightful delineation without first establishing the temperament of the chart. 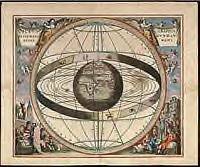 To be convinced of this, one only needs to do what I just recently did myself, is to go to the internet and to look up the article “The Well-tempered Astrologer – Using an Ancient System in Modern Astrology” by Dorian Gieseler Greenbaum. Don’t just read it, but study it and you wonder why you have not incorporated this system in your delineation sooner. One thing I have learnt is that any technique that is going give me the edge on better understanding the chart and a more correct prediction of what the future will hold, I will use it as my own. Temperament will give us a clue to the hidden agenda of the person that just seeing, analyzing, and comparing the ascendant, the Sun and the Moon, may not as quickly reveal. I am happy to conclude and to announce to all who will listen that I may have forgotten the astrological temperaments, but they have not been lost to me – thank you. 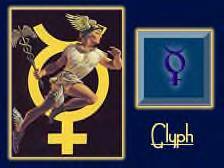 Mercury stands for the intellect and the way we utilize it in our lives. It also represents communication, mediation, tactics, knowledge, mental flexibility, analytical and logical thoughts, and the manner of judging and deciding. Mercury is also the negotiator between the conscious and the unconscious mind because the key issue here is focus as defined in “Key Words in Astrology by Banzhaf & Haebler”. Its powers of thought support the recognition and understanding of the images of the unconscious, such as dreams. The planet also represents expression in speech, curiosity, the thirst for knowledge, and a certain readiness, ambition, and ability to learn. Mercury in Cancer is combining our emotions and feelings with the way we see and bring things about. With the planet in retrograde at 27 Cancer 3, beginning June 26th 2013, the Universe is directing us to check our emotions at the door as we undertake any situation, so we can pay attention to what is happening at the moment. The cycle of Mercury Retrograde is about three times a year, and before we know it, or wish it, it has quickly passed and just as quickly, has returned again vying for our attention. One only needs to question anyone who has experienced the trials, tribulations and chaos that retrograde can create and one will hear endless stories that will amaze. My problem is whether our emotions on the subject has been so bent out of shape that the legends and the myths that have come out of it, may be more fiction than facts. Is the embellishment a help or a hindrance in getting one through this period safe and sound? How much of the experiences are real facts and how much of it is our imagination? A Retrograde period in my opinion is when caution, carefulness and retrospection is a necessity to avoid glitches, personal misunderstanding, flawed, disrupted, and delayed communications with ourselves and others. Although I know there will be delays and disruptions that we can not avoid during this period, I do believe much of the frustrations and stress we experience is sometimes caused by our own carelessness in our thinking, action and especially how our emotions are expressed and carried out. With the retrograde in a water and cardinal sign, it is reminding us to monitor our emotions, impulses and actions to avoid frustrations and disappointments. That haste mixed with emotions makes waste, is no idle saying. The necessity to make things happen is our priority at this time, and possibly without the forethought and preparation, which at other times, would be our usual procedure. Whether it is the action of others, or actions instigated by our own emotions, ambitions and desires, the keywords, are caution and alertness in everything we do during this period of time. “The Sabian symbol for the 24th degree of Cancer is taken from “The Sabian Symbols in Astrology by Marc Edmund Jones”, and what follows are my comments. Cancer 24 A woman and two men on a bit of sunlit land facing south This is a symbol of the soul’s necessary decisiveness in the basic allegiances of life, here emphasized in the terms of practical or everyday relations. There must be a mediation between the competing demands for immediate attention to various transient needs, and for some consistent or overall goal which will bring an individual’s efforts into a cohesive pattern. The inner capacities must be disciplined continually for the sake of a plethora of outer opportunities. The keyword is inception. When positive, the degree is an unusual gift for organizing and exploiting the self’s potentials, and when negative, a devastating sense of ineptitude and estrangement from reality. This symbol speaks to me in that the woman and the two men symbolizes the emotional, nourishing, mental and physical nature of the human being working in unison towards knowledge, enlightenment and accomplishment. In balance and in harmony with one another, they are of one mind in working towards one goal without upsetting the equilibrium of the whole, suggesting unity of purpose and cohesiveness. The south symbolizes the source and the concept of integration and the ability to see and to grasp opportunities, when it knocks. Our advantage during this retrograde period is our ability to stay alert, aware and to anticipate any difficulties or trials that may come about as we participate in the moment. This Mercury Retrograde in Cancer is demanding us to check our emotions at the door if we wish to fly through this period without any complications that will disrupt and sidetrack us from our goals and wishes. As in all spiritual groups, rituals and exercises, if one is to succeed, one needs to set aside the emotions.